All Uworld Notes 2019 for USMLE Step 2 CK Latest edition of USMLE Step 2 ck All Uworld Notes 2019 available at 99 Medical Books at Discounted price. Most demanding notes for USMLE Step 2 CK Exam. • Up to date: Most updates Uworld Notes for USMLE Step 2 CK Exam. • Complete: It has 1200+ Black and White Pages with Flowcharts and diagrams. • Learner-efficient: Most Organized content page topic wise. • Trusted: Uworld Content is always trusted, which leads to success. • Cost-effective: Only 130$. • Covers: uworld Notes Cover all the topics one by one of USMLE Step 2 CK. Available at 99 Medical Books, We deal in all kind of Medical books, Exams Qbank, Audio/Video CD’s and DVD’s. Biochemistry and Genetics Pretest Self-Assessment and Review 5/E / Edition 5 ISBN: 9780071791441 PreTest is the closest you can get to seeing the USMLE Step 1 before you take it! 500 USMLE-style questions and answers! Great for course review and the USMLE Step 1, PreTest asks the right questions so you’ll know the right answers. You’ll find 500 clinical-vignette style questions and answers along with complete explanations of correct and incorrect answers. The content has been reviewed by students who recently passed their exams, so you know you are studying the most relevant and up-to-date material possible. No other study guide targets what you really need to know in order to pass like PreTest! BRS Behavioral Science ISBN: 9781451132106 The Board Review Series (BRS) is aimed at providing basic knowledge as it relates to clinical situations and is used primarily by medical students studying for the United States Medical Licensing Examinations (USMLE). BRS BEHAVIORAL SCIENCE covers material on this subject that is addressed on USMLE Step 1. Previous editions of this volume have been quite popular with medical students. As in its previous editions, BRS BEHAVIORAL SCIENCE is written in outline format to provide an efficient method of studying Behavioral Science for USMLE. A major focus of books in the BRS series is to provide experience to students in answering USMLE-style questions. To this end, the book contains over 700 such questions with accompanying annotated answers. An exam follows each chapter and a Comprehensive Exam is included at the end of the book. BRS Biochemistry, Molecular Biology, and Genetics ISBN: 9781451175363 BRS Biochemistry, Molecular Biology, and Genetics is an excellent aid for USMLE Step 1 preparation and for coursework in biochemistry, molecular biology, and genetics. Fully updated for its sixth edition, chapters are written in an outline format and include pedagogical features such as bolded key words, figures, tables, algorithms, and highlighted clinical correlates. USMLE-style questions and answers follow each chapter and a comprehensive exam appears at the end of the book. BRS Cell Biology & Histology ISBN: 9781451189513 Succeed on the USMLE and course exams with BRS Cell Biology & Histology, 7e. Acclaimed for its easy-to-read, easy-to-scan outline format, this bestselling book includes over 320 USMLE-style questions (with complete answers and explanations), as well as a comprehensive USMLE-format examination at the end of the book. Featuring a wide range of electron micrographs, conceptual line drawings, high-yield Clinical Considerations boxes, and end-of-chapter multiple-choice review questions, this quick reference book covers the facts and concepts tested on the USMLE within the context of cell biology and histology. Offered in both print and online formats, the book will help you boost your confidence and competence and provides maximum accessibility and portability for in-class or on-the-go learning. The Board Review Series quick-scan outline format helps you maximize your study time. High-yield Clinical Considerations boxes demonstrate the connection between cell biology, histology knowledge, and clinical medicine. An easy-to-follow full-color design with conceptual illustrations and color images clarifies important concepts. Full-color tables and illustrations summarize information for easy review. More than 320 USMLE-style questions and answers help you prepare for the boards. Interactive quizzing on the free companion website provides additional practice. BRS Embryology ISBN: 9781451190380 Succeed on the USMLE, other board exams, and course exams with this updated Sixth Edition of BRS Embryology. 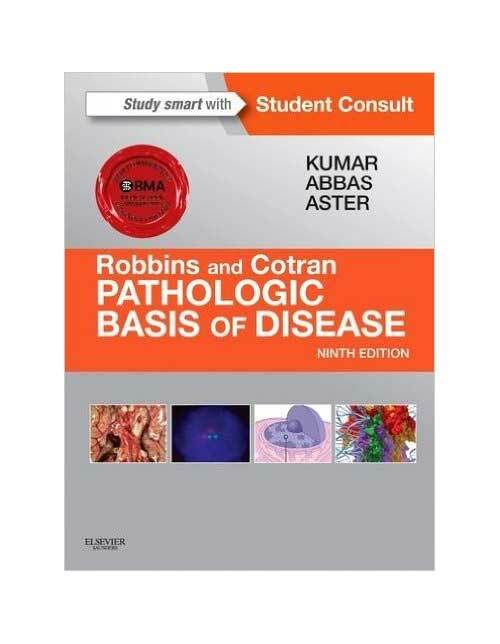 Acclaimed for its easy-to-read, easy-to-scan outline format, this bestselling book includes over 220 USMLE-style questions with complete answers and explanations, as well as exams at the end of each chapter and an end-of-book Comprehensive Examination. Enhanced by outstanding radiographs, sonograms, computed tomography scans, and clinical photographs of various congenital malformations, this proven book covers the facts and concepts tested on the USMLE within the context of human embryologic development. Offered in both print and online formats, the book boosts confidence and provides maximum accessibility and portability for in-class or on-the-go learning. Maximize study time with the Board Review Series quick scan outline format. Prepare for the board exam with more than 220 USMLE-style questions and answers. Focus your board review prep using the icons that highlight the information key to the USMLE exam. See the connection between human embryologic knowledge and clinical medicine through Clinical Considerations sections. Master key facts and information with illustrations and tables that summarize information for convenient review. 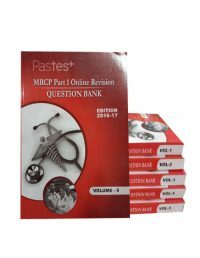 Practice for the board examination using the comprehensive end-of-book exam. Find key information fast with anytime, anywhere access to the fully searchable text on the free companion website, which also features interactive quizzing. BRS Gross Anatomy ISBN: 9781451193077 Succeed in your anatomy course and the USMLE Step 1 exam with BRS Gross Anatomy, 8e. Written in the popular Board Review Series outline format, this powerful, easy-to-use resource presents the essentials of human anatomy through concise descriptions, clinical correlations, radiographs, full-color illustrations, and tables. Over 550 board-style questions with complete answers and explanations, chapter-ending exams, and an end-of-book comprehensive exam help you master key information. BRS Microbiology and Immunology ISBN: 9780781789127 BRS Microbiology and Immunology is designed specifically for medical and graduate students for successful preparation for the United States Medical Licensing Examination (USMLE). This newest edition features a full-color design and illustrations throughout. The book is divided into 12 chapters and presents both a "bug" approach followed by an organ systems approach. It remains a succinct description of the most important microbiological and immunological concepts and critical details needed to understand important human infections and the immune system function and malfunction. End-of-chapter review tests feature updated USMLE-style questions with rationales and four USMLE comprehensive examinations (in 50 question blocks like Step 1) help test memorization and mastery of the subject. A companion website offers the fully searchable text and an online question bank. BRS Neuroanatomy ISBN: 9781451176094 BRS Neuroanatomy, fifth edition is a concise review of medical human neuroanatomy for course and licensing exams, including the USMLE, and features more than 600 board-style review questions with explanations. This edition also includes new full-color artwork and design elements, updated clinical correlations, a glossary of over 200 key terms, and an appendix of cranial nerves. BRS Neuroanatomy presents the essentials of human neuroanatomy in a concise, tightly outlined, well-illustrated format. Online access to an ebook and interactive question bank is included.